2018 home design is looking a lot like 2017 but with a new, brighter color palette. Whether it’s wallpaper, kitchens, or floors, the new year finds many homeowners looking for ways to update their space. Here are a few of my favorite ideas that I hope to see more of in 2018. Making homes more functional is always in fashion. 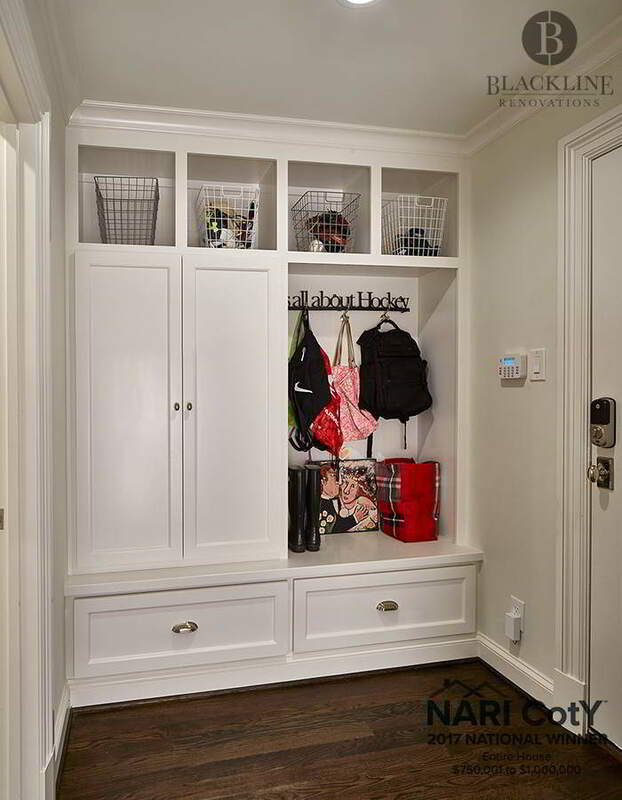 Just like in years past, we’ll continue to see more mudroom additions and renovated laundry rooms to eke out more usable space in homes. Accessibility remodeling is also gaining traction as families care for aging loved ones at home. Structural things like widening doorways or updating a bathroom with handrails can make a big difference for those with mobility challenges. If you are replacing hardwood floors this year, consider switching existing dark wood for a light, textured wood floor. Rather than replacing all flooring, a client could simply refinish the existing wood floor and not stain the wood or use a light stain and seal. With a continued emphasis on adding natural light to homes, a lighter wood floor creates an open, airy feel. 2018 may also be the year that granite’s supreme reign ends. 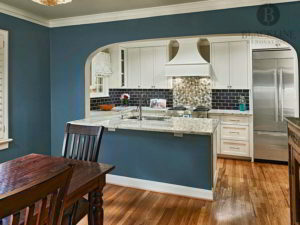 Homeowners are now choosing marble and quartz countertops. Quartz may be a bit more expensive than granite, but it is lower maintenance, more consistently colored, and stain resistant. Colors are continuing to trend ever bolder with Pantone’s announcement that the official color of 2018 is ultra violet. I’d expect to see this used more as an accent color, but other bright colors like Gen Z yellow (a bright lemon hue) are also popular. White kitchens may also become extinct in 2018 as many are choosing to add colors like muted blues or pastel greens to cabinets for a calm and inviting feel. 2018 will be an exciting year for home design and there are still a lot of new ideas yet to come that you can use to refresh your home. As always, Blackline Renovations is ready to make your dreams for your home come true.